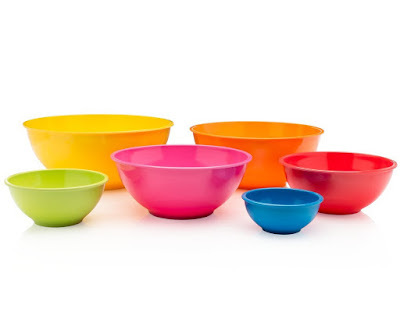 Head over to score this Francois et Mimi 6 Piece Colorful Mixing Bowls Set for only $11.95 (Retail $18.95) when you enter promo code IP92OTPB at checkout. Choose from pastel or classic colors. Each 6-piece bowl set is made of 100% BPA free melamine and is break resistant and dishwasher safe. The bowls are perfect for salads and are lightweight and easy to handle.